Frankly, we've loved everything Andrew Kilpatrick has ever released, such as his Phenol patchable stand-alone synth and the amazing Carbon sequencer. It's all easy to use and it all screams quality. 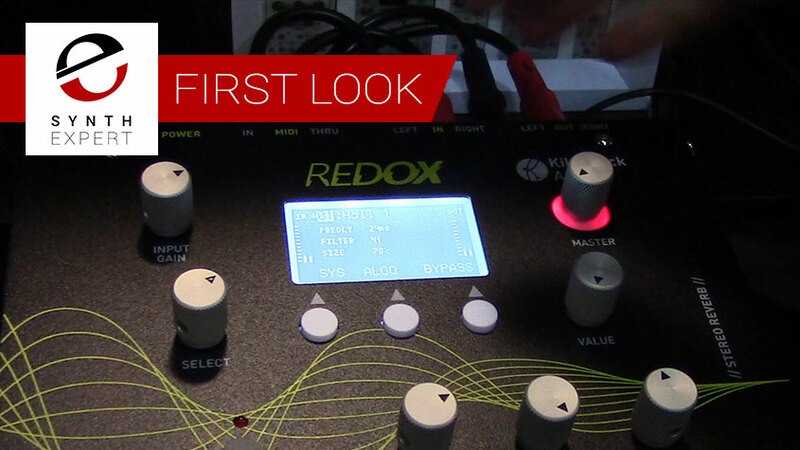 His latest two efforts are designed for people who perform live electronic music and want the same immediate tweakability, storage and recall, and MIDI control they enjoy from their synths and grooveboxes. Form factor is important: When you're jumping around like mad over your Elektron machine, laptop, or Eurorack, you want boxes that are in front of you, not to the side in a rack or on the floor as a pedal. Torque is a stereo multi-band compressor; Redox is a stereo reverb. The units Andrew explains to us in the video below are prototypes; we're really looking forward to seeing and hearing the release versions.